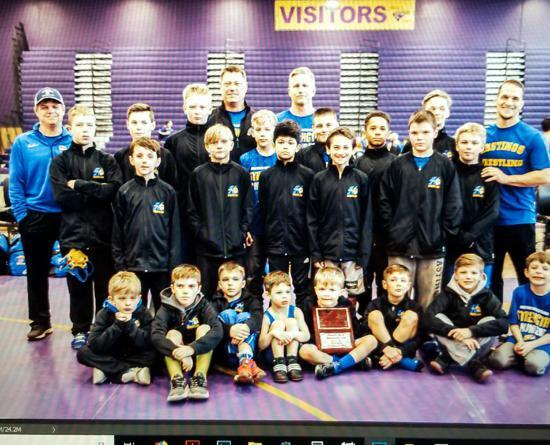 K-6th Grade Placed 2nd In Region 3 going 3-1 losing a tough dual for 1st to STMA. 7th&8th Grade went 3-0 Taking Home 1st place in Region 3 beating STMA for the Championship Win!!!! Check out our 2018 Video on why to join Hastings Wrestling! If you Love to Fish we have a great new opportunity for you ! All the sign up information, rules, and contact information for the Walleye Duels are listed in the link! Hope to see you there! ©2019 Hastings Wrestling Club / SportsEngine. All Rights Reserved.